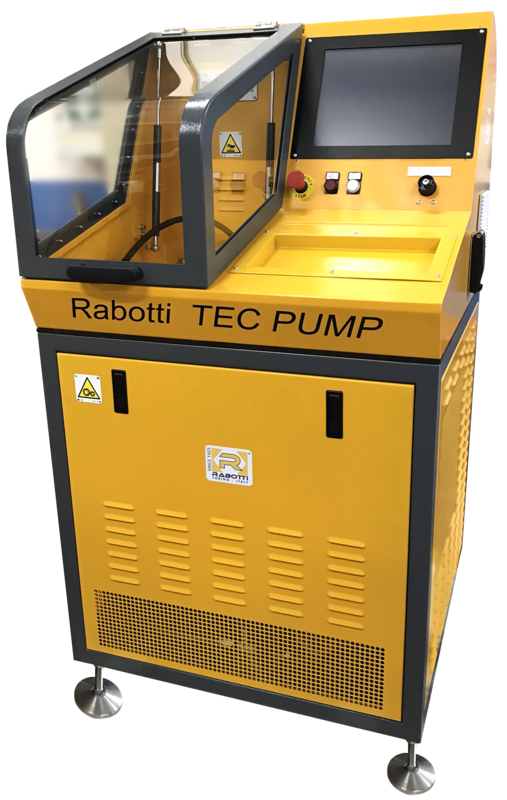 TECPUMP is the test bench of the Rabotti range to check Common Rail pumps. It is small, powerful and reliable, with an 11Kw and 6000 rpm motor, and it ensures speed and precision in the testing of single Bosch, Denso, Delphi and Siemens CR pumps in accordance with OEM specifications (Bosch and Denso). With 2500 bar hydraulics also appropriate for Bosch CP4 pumps, the simulator is ideal for those who wish to keep repair of the CR pumps separate from the injectors’ one.